A law that went into effect on January 1, 2016, will impact—at least for another year—all drivers convicted of a DUI in Los Angeles. The California legislature has extended for the next 12 months a pilot program in four counties (Alameda, Los Angeles, Sacramento and Tulare) that requires installation of an ignition interlock device (IID) for anyone convicted of a DUI under California Vehicle Code (CVC) 23152 or 23153, or California Penal Code (CPC) 191.5(b). According to the California DMV, the driver must install the device on any vehicle that he/she owns or operates, and the restriction can last anywhere from five months to four years, depending on how many previous DUI convictions the driver has. A December 2015 report from Mothers Against Drunk Driving (MADD) states that ignition interlock devices each month deter 1,945 people with a blood alcohol content of .08 or more from starting their vehicles. (This information was compiled from data provided by six major interlock manufacturers.) The MADD report said that during the past five and a half years, IIDs have stopped more than one million would-be DUI drivers from starting their vehicles, which translates into thousands of lives saved in California alone. 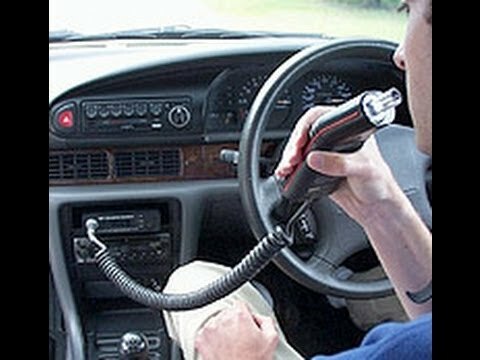 MADD said that it supports ignition interlock devices for all offenders, because they reduce repeat offenders not only while they are installed but also after they are removed. In addition, an IID monitors offenders while allowing them to maintain their normal work, school and family obligations (as long as they don’t try to get the car to start when their BAC is too high). MADD even supports using IIDs in lieu of license suspensions—but in tandem with other treatment and rehabilitation programs—because it believes that IIDs more effective for preventing DUIs and for changing DUI drivers’ dangerous behaviors.